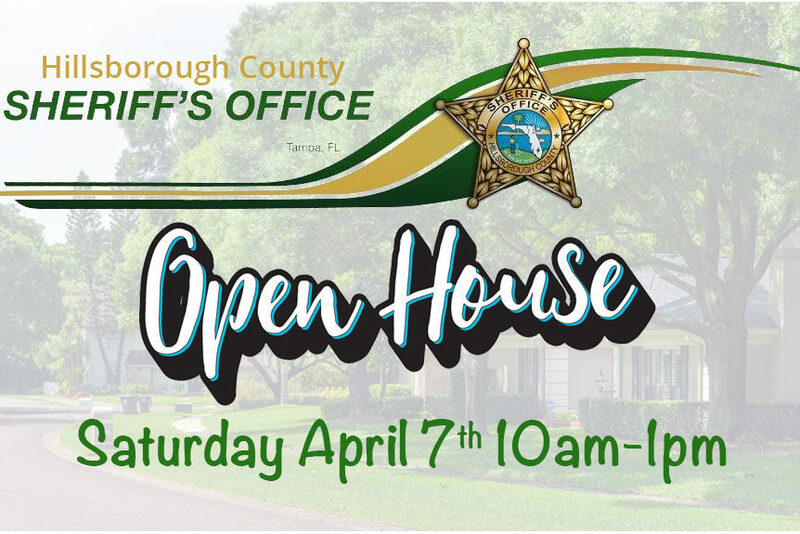 The Hillsborough County Sheriff’s Office (District III) is having an Open House Event on 04/07/18 from 10:00 AM to 1:00 PM. This invitation is extended to all the residents that reside in District III. 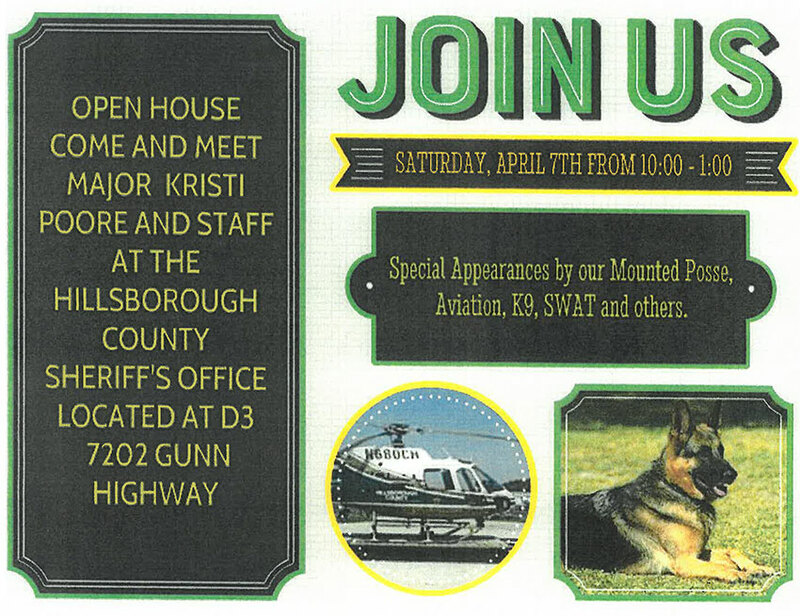 Come meet Major Poore and her staff as they host this event. There will be plenty to do for all. I attached a flier that contains some of the details that will be at the event. If you could post the flier in your club house or HOA it will be greatly appreciated. We expect to have our S.W.A.T. , K-9 Unit, Aviation (landing a helicopter), and many other events. We would also have a bouncy house for the kids. So come on out, enjoy some hotdogs and let your community know about the event.